Looking To Get Rid Of An Old Car? Here’s How You Do It. Congratulations, you’ve got a new car! You must be on the top of the world cruising town in a fresh vehicle. But, have you gotten rid of your old car yet? Well, if not, there is nothing to worry. 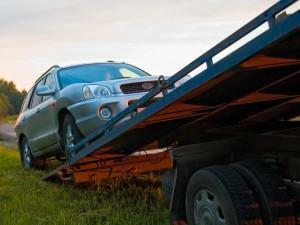 We are here to help you with the different ways to get rid of your old car. However, first and foremost, you would need to ask yourself what exactly you want to do with it. Do you want to sell it, donate it, or just discard it? This is a tricky question, and only you can choose the final answer. But our guide will help make that decision a little easier. How much time and energy do you want to spend on getting cash for your car? Would you like to donate your car to charity in exchange for some tax write-off benefits? Do you have enough space to store the car until it sells? What’s more important to you – getting the most money or making a fast sale? 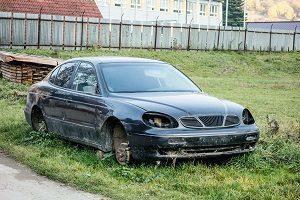 Questions like these help you decide which method to explore to get rid of your old car. If you are running out of cash and can’t wait longer to ditch your junker, you might want to go with the quickest and easiest option available out there. Similarly, if don’t have a scarcity of funds but want to reap the tax benefits, you can opt to donate your car. If the car is not that old and is in good condition, you can wait to sell it at the best price. In any case, it is you who can decide upon the best way to get rid of your car because only you know your financial position, your timeline, and your car’s present condition. Choose a charity that accepts car donation. There are many charities that operate programs under which they accept such donations. Get an estimate of the base value of your car after deducting the repair cost. Calculate the amount of tax that you can write off. Remember, the more the tax to be written off, the more the paperwork. Call the charity and have your car picked up. Even Junk Cars Are Worth Something. Irrespective of how old or run down your car is, it really is worth some money. Even broken, rusted, or dilapidated cars hold value in the market – even if just for spare parts or scrap metal. So, don’t ever assume that if your car is not roadworthy, it is not worth any money. Know Your Value. It’s important to know how much your car is worth before you try to sell it. You can take your car to a used-car dealer who can help you get an idea of the approximate value of your car. You can even look up to the classifieds or online auctions for any car of similar model and age being offered there. That might also help you get an idea of the approximate value of your car. Keep It Legal. Complete all the paperwork related to the car beforehand. This might include the title, liability, warranty, maintenance records, bill of sale, etc. This is important from the legal perspective as well as for the customer’s satisfaction. Learn to Negotiate. No matter how low you quote, every buyer is going to like to negotiate. Thus, in order to get the maximum cash for your car, quote 10% higher than its actual value. This will give you a 10% buffer while negotiating the final price with the buyer and ultimately, you will have the fair value cash in hand. All of these seem no less than a hassle, right? Well, we have you covered with that too. If you don’t want to remember the long checklist of dos and don’ts (and deal with all the legal red tape), just go for Cash for Cars Gresham. We make the entire process from start to finish quick, easy, and headache free. You answer some simple questions about your vehicle, and we give you a quote. If that seems fine to you, we come and tow your car away for free, and yes, hand over instant cash. No wasting of time, no negotiation, and no hurdles! Whether you have a car, truck, SUV or van, Cash for Cars Gresham buys all makes and models in any condition throughout the Portland area. Call us today, get your car hauled, and have cash in hand as soon as tomorrow.